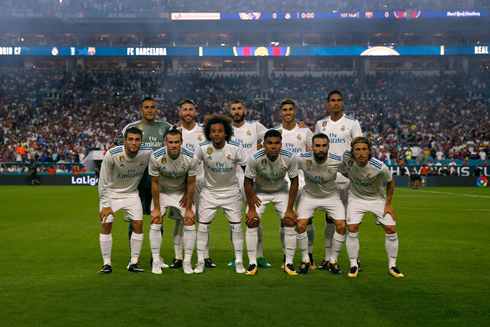 The third fixture in this year's US pre-season tour brought another bitter sensation to Real Madrid fans as the Merengues were defeated once again, this time in a 3-2 loss against Barcelona. 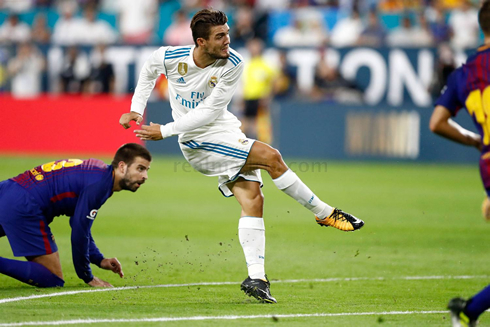 Kovacic and Asensio scored the only 2 goals for the European champions. For those who were looking for an exciting end-to-end game, that's exactly what they got from this first Clasico played in the United States. 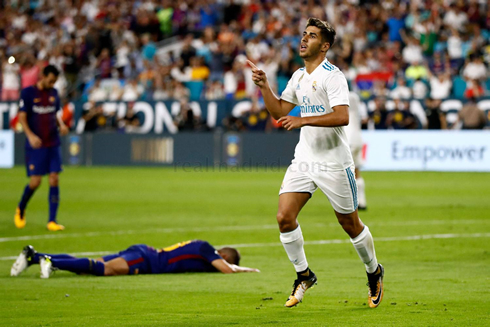 Real Madrid and Barcelona presented the fans with a highly entertaining match that the Catalans won 3-2, where neither side was capable of putting on a brilliant defensive display, in particular Zinedine Zidane's men. The Merengues conceded 3 goals, but the truth is they were fortunate enough not to concede more given the amount of chances Barcelona was allowed to create. The two teams will collide again twice in the first half of August, for the Spanish Super Cup title. 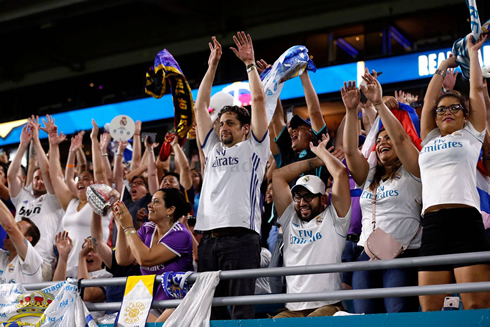 It hasn't been a smooth ride for Real Madrid in the United States and this Saturday night they had another bump in their pre-season campaign, after losing 3-2 to Barcelona in Miami. Zinedine Zidane lined up a very strong starting eleven, with Navas in goal and a defense line with Marcelo, Ramos, Varane and Carvajal. The captain finally made his return, even though he would only play the first 45 minutes. In midfield, the French manager relied on Casemiro, Modric and Kovacic, saving Isco for the second half. Up front and while Cristiano Ronaldo is still on vacation, the Merengues played with Asensio, Bale and Benzema. The reaction was ignited by Madrid's best man on the pitch this Saturday night, Mateo Kovacic. With the clocks marking the 14th minute, the Serbian midfielder decided to move forward on the pitch, dribbled Gerard Piqué in the process and struck it past Cillessen to shorten the distances. Great goal from the 23-year old and great performance all game long! The half-time arrived with a 2-2 draw in the scoreboard, but with the two teams showing a lot of trouble in their defensive process. The second half wouldn't be that much different, even though Barça was the only side managing to score. Neymar took a free-kick on the left, curled the ball into the heart of Real Madrid's box and Piqué, completely open, headed it past Navas to set the final score in 3-2 in favor of Barça. Real Madrid will now have a final game left in the United States, this Wednesday night against an MLS All-Stars team. They'll travel back to Spain the day after, where Ronaldo should then finally join the group. Cristiano Ronaldo next game is a pre-season fixture on July 29 of 2017 against Barcelona. You can watch Juventus live stream, MLS All Stars vs Real Madrid, Barcelona vs Chapecoense, Valerenga vs Manchester United, Arsenal vs Sevilla, and AS Roma vs Juventus, all matches provided from our stream football game pages.